Constructed of PP to ensure chemical and temperature compatibility in a wide range of applications. The standard chamber accepts double open end (DOE) cartridges, filter discs or filter bags depending on the application. Featuring non-metallic, leak proof magnetic coupled pumps and machined FM filter chambers, these systems provide high flow and high turnover rates, assuring continuous particle removal. 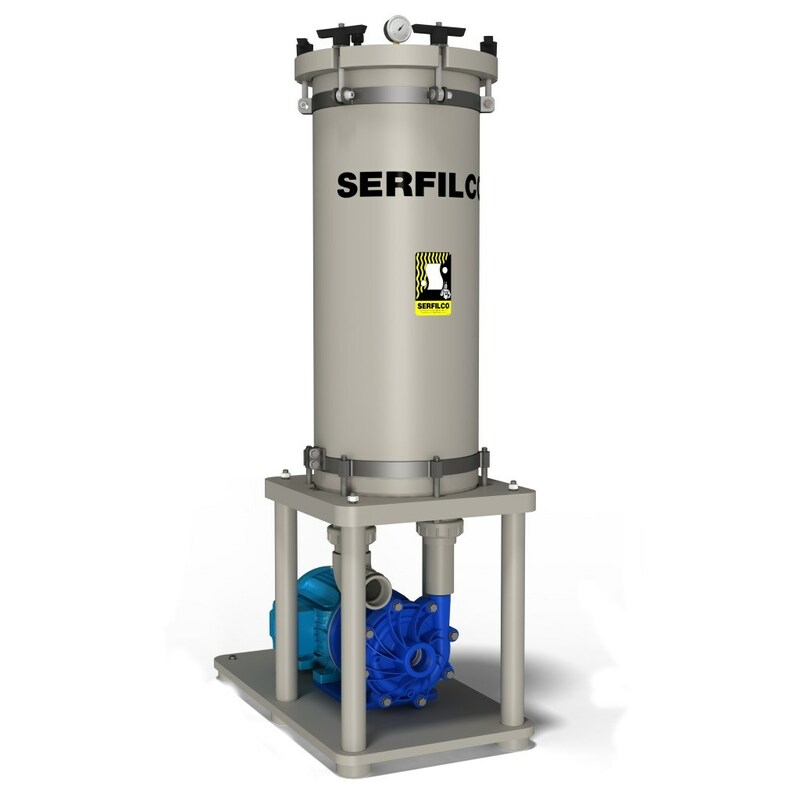 Systems are available with an optional bypass carbon or resin purification chamber.